Hello Friends… Today we talk about ” How to Capture 3D image in Android ” You easily take 3D image in your Android phone with only few Clicks. 3D image technique don’t by its frame division technique. This technique join multiple image frames 8nt9 one and give 3D Effect. This app is very Helpful for you. Because you easily capture 3D image in app and publish. 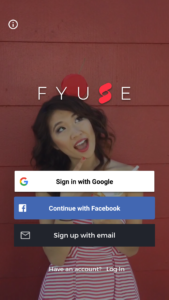 Fyuse app is a social media app for 3D images. You find lots of Best 3D image here. This app Require Internet. Step 4. 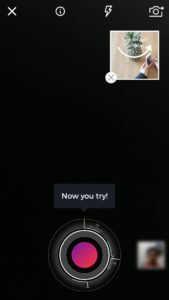 Now Capture 3D 8mage in Android with this app. Click on Capture Button and focus on target. 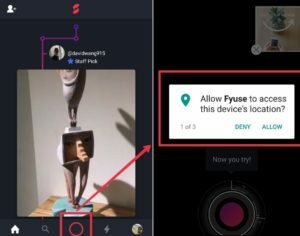 Now move your phone camera and Capture 3D image. You also Capture 3D selfie with this App. With phogy app you capture beautiful 3D image. This app work like fyuse app. But Phogy app give you some extra features. Phogy app give you limited Features and limited photoa. If you need full version of this app so invest some money in this app. Both apps give you many features with 3D image. You easily convert image in GiF, MP4. This app give you high Quality photos. Friends if this article helpful for you and you like this article please share with your friends.